This 15 sqm (161 sq.ft.) 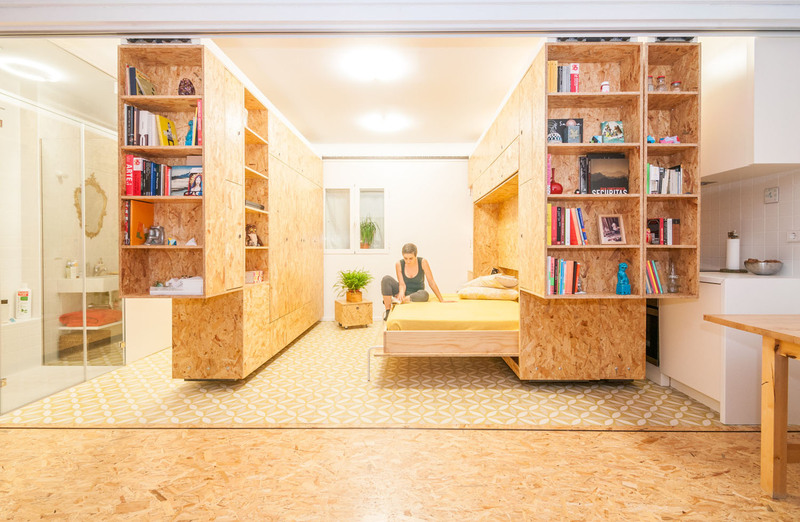 customizable home and studio in Madrid, Spain was designed by PKMN Architectures. The movable compartments allows the for dynamic living within a small space.